Jesse Glass – Play [Day] for [Of] the Dead: A [Decryptive] Dance For Mirror and Word. Inverted text to be read with a mirror. 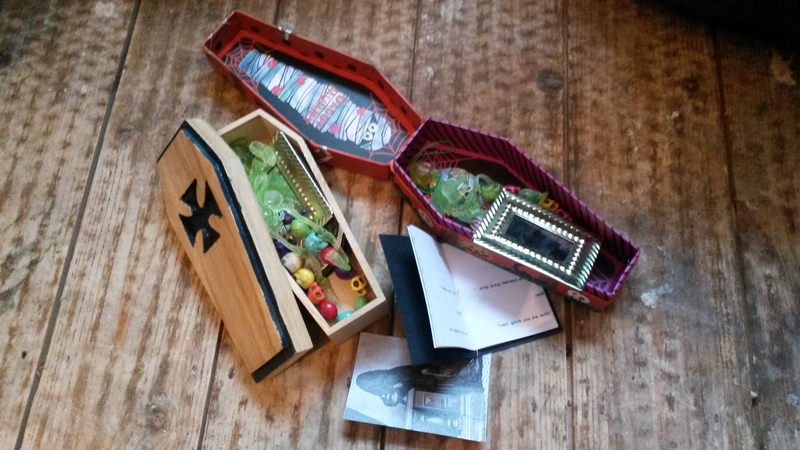 Comes in a miniature wooden or cardboard coffin with book, image, gold mirror, skeleton and skull bracelet. This object has sold out.